If you or a loved one has been diagnosed with diabetes, your Costco pharmacist can provide much-needed advice and consultation. 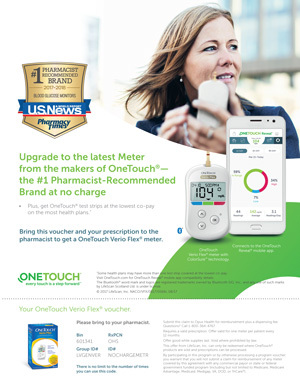 Pharmacists are uniquely qualified to guide you in choosing blood glucose monitoring equipment, diabetes safe over-the-counter medicines, nutritional supplements and affordable prescription medications. At Costco, we understand the medical and financial challenges that face our members when they are diagnosed with a chronic illness like diabetes. Many people are frightened by the diagnosis and don’t know where to turn for support and guidance. Your Costco pharmacist is there for you and can help answer all your diabetes-related questions. Costco pharmacies carry a large number of blood glucose monitors with a variety of features, such as the size of the blood drop required, the length of time it takes for the test result, the cost of test strips, and the technical features of the monitor itself. Many insurance companies do not cover the cost of the monitors, but do cover the cost of the test strips. Your Costco pharmacist can assist you in choosing the right monitor for you. We will review the features of each monitor so you don’t spend money on features you will not need. We can also contact your insurance company to determine which test strips they cover. Many manufacturers offer discount cards for monitors and strips. Costco pharmacy staff can assist you in finding these discount programs. Our goal is to ensure that the monitor you choose will meet your needs medically, technically and financially. Many over-the-counter drugs and nutritional supplements are not appropriate for people with diabetes. 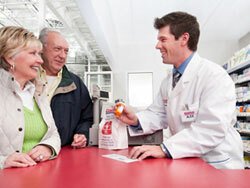 Costco pharmacists are trained to help you choose those products that will not interfere with your diabetes treatment. Although Costco pharmacies may not have a wide variety of sugar free products on the shelves, they can often special order them for you at significant savings over other pharmacies. If there is something you want or need and you don’t see it, speak with a pharmacist or technician about ordering it for you. Sugar free cough syrups, glucose tablets for the treatment of hypoglycemia, and other similar products are available as special orders. When it comes to choosing the appropriate prescription drugs, your health care provider will base his or her decisions on your medical needs. If the drug prescribed by your provider is not covered by your insurance, or is too expensive, your Costco pharmacist will work with you to try to get your medication at an affordable price. For example, your provider might write a prescription for a brand name medication. If the drug is not affordable or not covered by your plan, your Costco pharmacist can contact your provider and suggest a generic drug that provides comparable medical benefits at a lower cost. It is extremely important that you take your medications according to your health care provider’s directions. You must know which medications to take with food, which on an empty stomach, and for which ones it doesn’t matter. For example, metformin is taken with meals, pioglitazone (Actos) is taken with or without food, and acarbose is taken with the first bite of each meal. Taking your medications correctly is vital to them being most effective. Since people with diabetes often have other chronic illnesses as well, your Costco pharmacist can help you understand how all of your medications, for diabetes and other conditions, can work together to maintain your health. 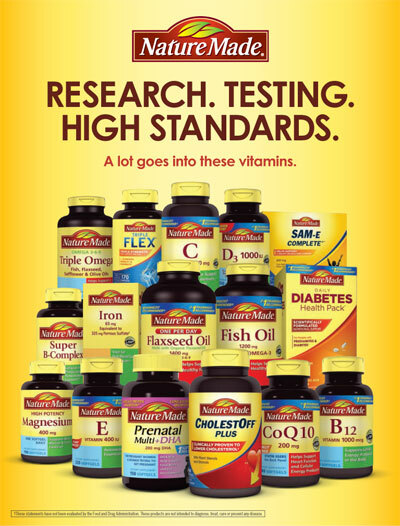 Costco pharmacists are trained in diet and exercise as it relates to diabetes treatment. TLC (therapeutic lifestyle change) is an essential part of diabetes care and treatment. Your pharmacist can help guide you toward making choices that will help in your diabetes treatment. Costco warehouses sell a wide variety of healthy foods that are low in fat, salt and sugar. Choosing appropriate foods is an important part of diabetes treatment. In addition, many Costco Warehouse locations sell local fitness club memberships at reduced prices. Pharmacists can also help you with your immunizations. Talk to your Costco pharmacist about available immunizations and which ones are recommended for you. It is especially important for people with diabetes to be up to date on all appropriate immunizations. For example, it is essential that every diabetes patient be immunized annually against influenza. Costco provides flu shots at extremely low cost to make them as available as possible. They are also covered by Medicare Part B and by many insurance programs. Annual flu related deaths exceed deaths from drunk driving, and most deaths occur in young children and the elderly. 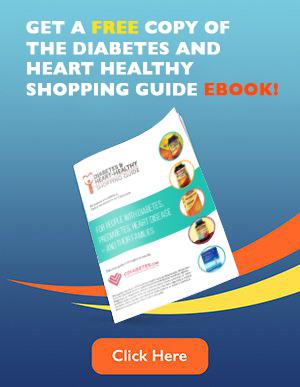 Those with chronic diseases such as diabetes are at greatest risk. 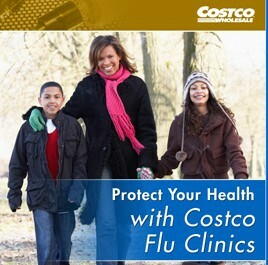 So talk to your Costco pharmacist about getting your flu and other recommended immunizations.